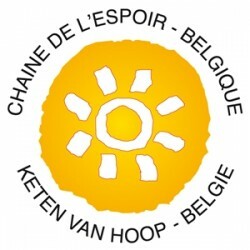 CHAINE DE L’ESPOIR/CHAIN OF HOPE – EUROPE unites the skills and resources of 4 founding European NGOs: La Chaîne de l’Espoir (France), Chaine de l’Espoir (Belgium)/Keten van Hoop België, Bambini Cardiopatici Nel Mondo (Italy) and the RobinAid Foundation (Germany). In March 2015, Cadeia da Esperança (Portugal) joined the organisation as its fifth member. Most recently, in September 2017, Chaine de l’Espoir Luxembourg joined the organisation as its sixth member. Launch Europe-wide awareness and fundraising campaigns to gain the support of international agencies, private companies and the public. 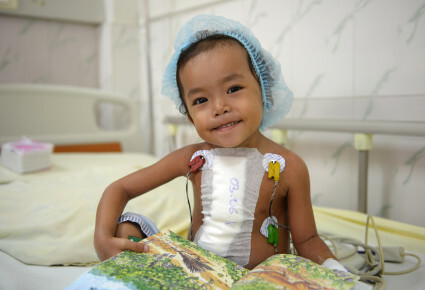 Founded in 1994 by professor and cardiac surgeon Alain Deloche, La Chaîne de l’Espoir (France) provides children in countries that do not have the technical and human capital to treat them with medical and surgical care. The organisation relies on an international network of medical and surgical experts and also provides educational support on an ongoing basis. La Chaîne de l’Espoir (France) works actively in over 30 countries and is currently chaired by Dr Eric Cheysson, chief of vascular surgery at René Dubos Hospital in Pontoise, France. Founded in 1997 and chaired since then by one of its founding members, cardiac surgeon Professor Jean Rubay, Chaine de l’Espoir (Belgium) provides children in developing countries with improved access to specialized healthcare. Missions are carried out by volunteer paediatric experts in seven different countries in Africa and Central and South America. Children can also be transferred to Belgium for more complex medical and surgical care. 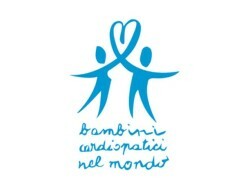 Bambini Cardiopatici nel Mondo (Italy) was founded in Milan in 1993 by Professor Alessandro Frigiola, surgeon in chief of the 1st Division of Cardiac Surgery of the E. Malan Centre of San Donato Hospital, and by Professor Silvia Cirri, head of the Operations Unit of Intensive Care and of the Anaesthesia and Resuscitation Service – Institute Clinic, San Ambrogio. Thanks to the voluntary collaboration of more than 150 surgeons, doctors, nurses and technicians from leading Italian cardio-surgical centres, the organisation brings children with heart disease in disadvantaged countries the hope of life. The RobinAid Foundation was founded in 2009 by anaesthetist and intensive care specialist, Dr Matthias Angrés who was chief physician and medical director at Cottbus Heart Centre as well as at Hamburg Albertinen Hospital. The foundation is committed to bringing specialized and sustainable medical care which meets international standards to children living in developing countries and in regions affected by poverty, war and crisis. Cadeia da Esperança (Portugal) is an NGO founded in Coimbra in October, 2000. It was born of the cooperation with La Chaîne de L’Espoir (France) and Chain of Hope (UK) at the Maputo Heart Institute, of which it is a founding member. Cadeia da Esperança (Portugal) maintains two humanitarian projects in medical and surgical cardiology in Maputo (Mozambique) and São Tomé (São Tomé and Príncipe). The former has organised 2 to 3 missions per year in interventional cardiology and cardiac surgery since 2001; the latter finances and equips a small cardiology unit, organises three medical missions (one in paediatric cardiology per year) and maintains a training programme of doctors and technicians. About 50 children and adults are also being transferred to Portugal for more complex medical and surgical care. Founded in 2016, Chaine de l’Espoir Luxembourg immediately joined Chaine de l’Espoir / Chain of Hope – Europe. 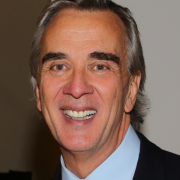 Its first and current chairman, Dr Jerry Kieffer, is an orthopaedic surgeon from the Kannerklinik in Luxembourg. 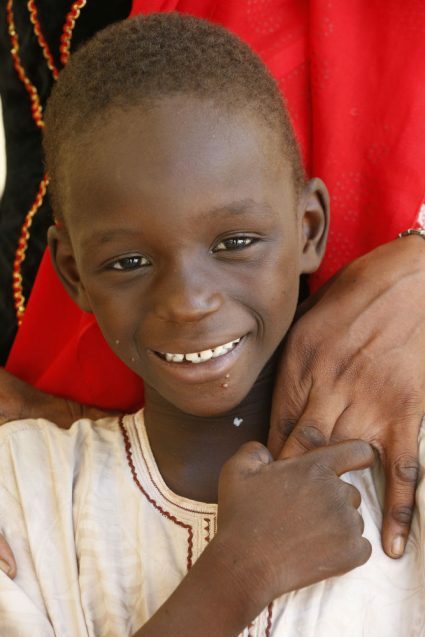 Chaine de l’Espoir Luxembourg provides currently medical and surgical care for children in developing countries in West Africa and the Middle East. The Luxembourg surgical staff participates in orthopaedic missions (funded by the European Commission – ECHO) in Jordan with La Chaîne de l’Espoir (France). Children can also be transferred to Luxembourg and Belgium for more complex medical and surgical care. 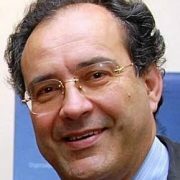 Alessandro Frigiola is a paediatric and cardiovascular surgeon and has been surgeon in chief of the 1st Division of Cardiac Surgery of the E. Malan Centre of San Donato Hospital since 1990. In 1993, he founded Bambini Cardiopatici nel Mondo of which he is currently president. 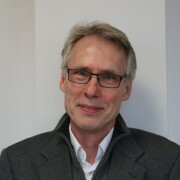 Dr Matthias Angrés, an anaesthetist and intensive care specialist, was chief physician and medical director at the Cottbus Heart Centre as well as at Hamburg Albertinen Hospital before founding the RobinAid Foundation in 2009 and devoting himself to medical missions worldwide. 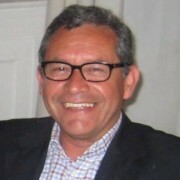 Walter Torrès Hernandez is an expert in international and diplomatic relations. 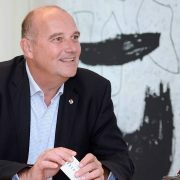 He founded Chaine de l'Espoir (Belgium) in 1997 and held the positions of secretary general, treasurer and currently serves on the administrative council of that organisation. 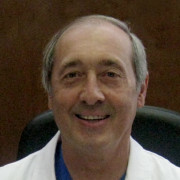 In addition to his career in the medical field, Jean-Roch Serra joined La Chaîne de l'Espoir (France) in 1999 as a member of the board of directors. He served as treasurer in 2000 and was elected as the full-time general director in 2003 and still holds this post in the French organisation today. Eric Cheysson, chief of vascular surgery at René Dubos Hospital in Pontoise, France, founded the French Medical Institute for Children in Kabul and has been president of La Chaîne de l’Espoir (France) since 2010. Marco di Terlizzi was one of Bambini Cardiopatici nel Mondo’s founding members in 1993. He was treasurer and currently serves as vice president. He is responsible for Italian and international partner relations and provides logistical and material support for surgical and hospital missions. Manuel Antunes is a Professor in the Medical School of the University of Coimbra, Portugal, and Head of the Department of Cardiothoracic Surgery of the Coimbra University Hospital. He is also Vice President of the Portuguese Academy of Medicine and of the Portuguese Society of Cardiology. He is the founder of Cadeia da Esperança. As a telecommunications specialist, Susanne Robert contributes a strong background in business and economics and has been engaged in fundraising and project management related tasks since 2010. 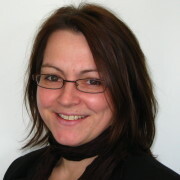 She is currently head of back office coordination at RobinAid. 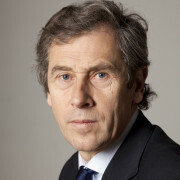 Alain de Muyser is a Luxembourg diplomat, currently Deputy Secretary General in charge of the General Secretariat of the Benelux in Brussels. He was previously Ambassador Extraordinary and Plenipotentiary of Luxembourg to Portugal and to Cape Verde. Chaine de l’Espoir/Chain of Hope – Europe is a non-governmental, independent, humanitarian medical aid organisation and international non-profit association. We are committed to providing specialised medical support which meets international standards in impoverished areas of the world. We work with local medical facilities and institutions to support their development. We support local hospitals by providing knowledge, equipment and management, medical and economic guidance. We send out qualified medical and nursing staff, chemists and other experts to operate on-site and develop tailor-made training programmes. We transfer seriously ill or injured children to partner hospitals in member countries if treatment cannot be performed locally. We are a “competence network” that cooperates with like-minded organisations, partners and individuals. We are committed to the health of all human beings, irrespective of nationality, race and religion. We do not work for economic gain and operate largely on a voluntary basis. We are committed to quality management and transparency for donors, sponsors, partners, authorities and the public. The Chain of Hope – Europe (COHE), in collaboration with la Chaîne de l’Espoir France (CDEF) and Chaîne de l’Espoir Belgique (CDEB), funds and supports the organization of teaching seminars to west african future surgeons specializing in pediatric surgery. 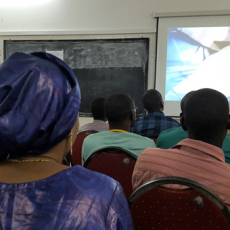 This seminar is part of the teaching program of pediatric surgery in West Africa (Diplôme d’études supérieures en chirurgie pédiatrique = DES-CP), supported by the CDEF since 2014. The universities of Abidjan, Lomé, Cotonou, Ouagadougou, Conakry and Dakar offer this cursus, which is recognized by the African and Malagasy Council for Higher Education (CAMES) and whose curriculum is harmonized by the West African Health Organization (WAHO). In 2004, La Chaîne de L’Espoir (France) equipped a specialised cardiovascular and thoracic centre built by the Senegalese government at the Fann National University Hospital. Today, joined by its Italian and German partners, Bambini Cardiopatici Nel Mondo and the RobinAid Foundation, a new centre’s construction is underway to provide the growing number of children in the region suffering from serious heart disease access to paediatric cardiology and paediatric cardiac surgery. Opened by La Chaîne de L’Espoir (France) in 2005 and supported by the RobinAid Foundation since 2009, the French Medical Institute for Children in Kabul aims to provide treatment to the greatest number of children and, above all, to share skills and know-how with Afghan colleagues. An additional partnership with the Aga Khan Development Network, volunteers and local teams has led to an increase in the hospital’s activities requiring the construction of a new wing dedicated to gynaecology and obstetrics which will become the Mother and Child Centre. Furthermore, a new adult cardiology department will open in May, 2015. In the Middle East, La Chaîne de l’Espoir (France) aims to provide intensive care and advanced paediatric life support as well as train local staff to complete complex surgical interventions. Several cardiopaediatric surgical missions were already undertaken independently by Bambini Cardiopatici nel Mondo and by La Chaîne de l’Espoir (France) in Kurdistan. La Chaîne de l’Espoir (France) recently organized an evaluation/audit mission which build the basis for training programmes to be launched by Chaine de l’Espoir / Chain of Hope – Europe in the coming months. In 2001 the Maputo Heart Institute was founded by La Chaîne de l’Espoir (France), Chain of Hope (UK) and Cadeia da Esperança (Portugal). 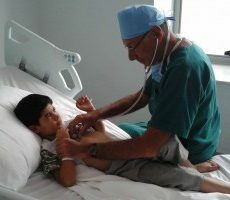 As of 2013, more than 300 children had received care on 14 consecutive cardiology and cardiac surgery missions led by Prof Manuel Antunes. 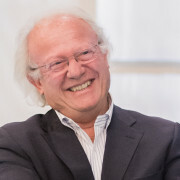 Since 2013, Dr Leitão Marques, the former president of Cadeia da Esperança (Portugal), has been running the institute’s catheterization laboratory. They also organise and finance transfer of the institute’s patients in need of advanced treatment, including surgery, to Coimbra, Portugal. Coimbra has also served as a training base for Mozambican doctors, nurses and technicians. RobinAid and Bambini Cardiopatici nel Mondo, present in Cairo since 2005, collaborate on a project supporting cardiac surgery at Cairo University Children’s Hospital (Kasr El Eini) as well as at the Police Authority Hospital in Cairo. They focus on complex heart defects and neonatal cardiac surgeries. According to the Office of the United Nations High Commissioner (UNHCR), more than 4 million people, including a large number of women and children, have fled Syria since March 2011, date of the beginning of the conflict. The vast majority of refugees are in Jordan and Lebanon where they live in precarious conditions and do not have access to the healthcare that they urgently need. – children with cardiac pathology who don’t have access to surgical care due to the lack of financial resources. amputations as well as thoracic and cerebral trauma. Children with congenital malformations are also supported. The mission staff is composed of specialists coming from various European countries brought together through the network of The Chain of Hope-Europe. The 2016 program of la Chaine de l’Espoir, financed by the European Civil Protection and Humanitarian Aid Operations (ECHO), is implemented in partnership with the Syrian Expatriate Medical Association, in charge of recruiting patients and the follow-up of operated children during missions. The missions take place in the Gardens Hospital and the Al Makassed Hospital, both located in Amman.